Slant-front writing desk, Sweden circa 1810. Traditional form with wonderful details which illustrate the new fascination with all things Egyptian. 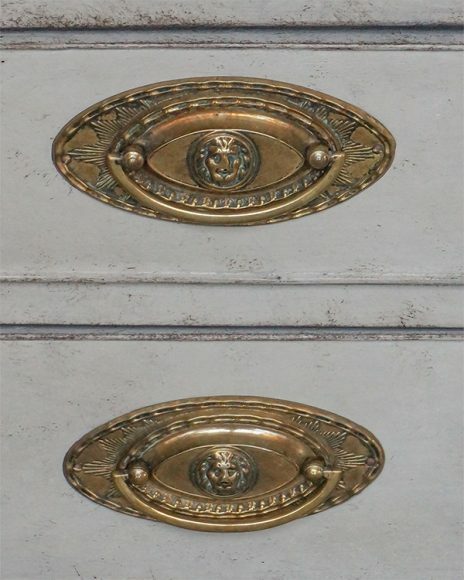 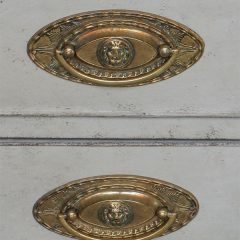 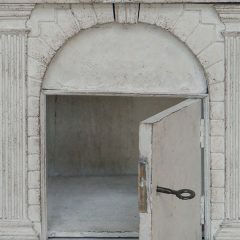 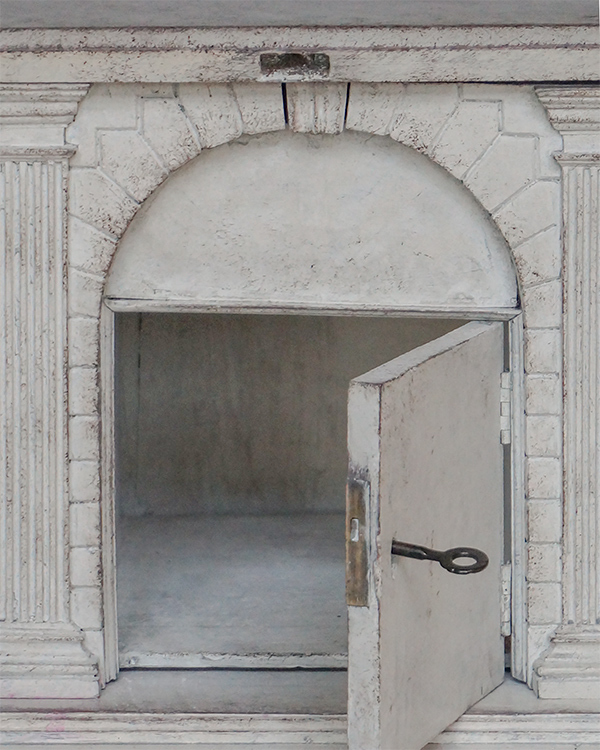 The central interior compartment is carved as an entrance to a tomb or temple, and the original brass drawer pulls feature pharoah’s head surrounded by the rays of the sun. 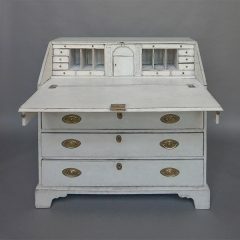 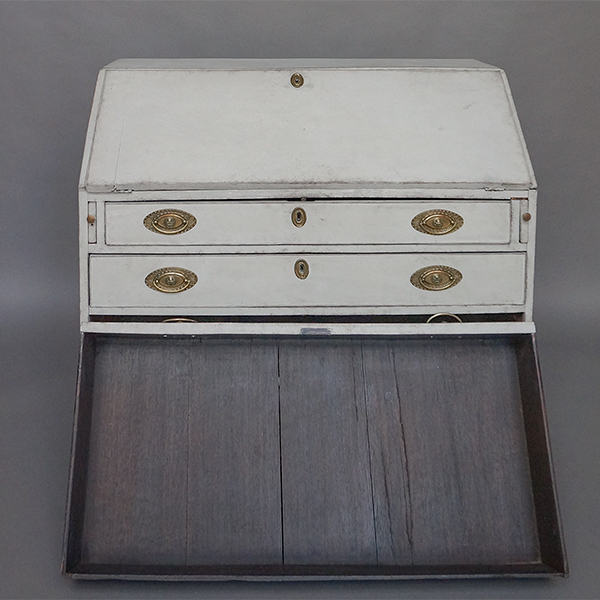 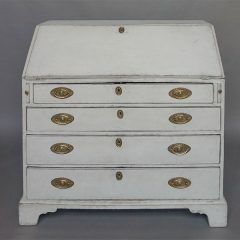 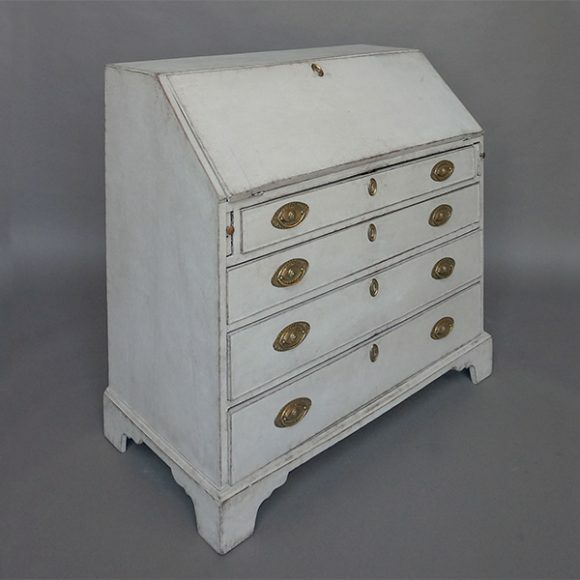 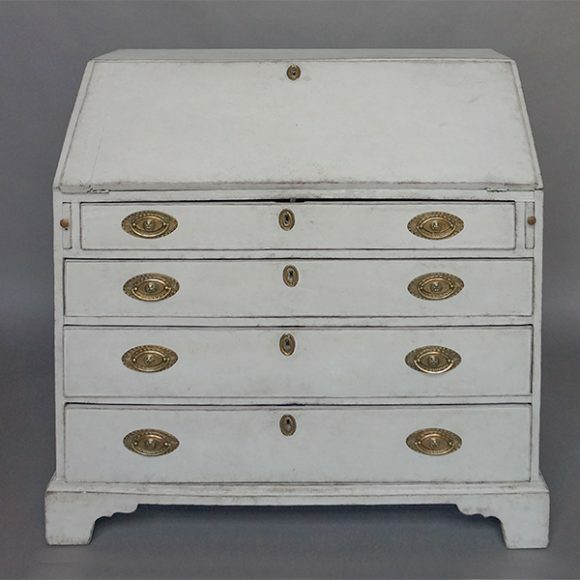 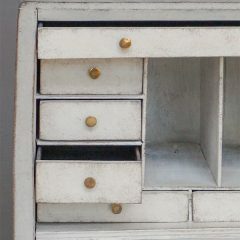 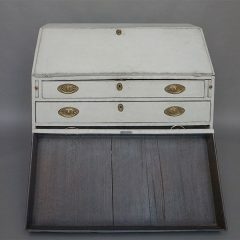 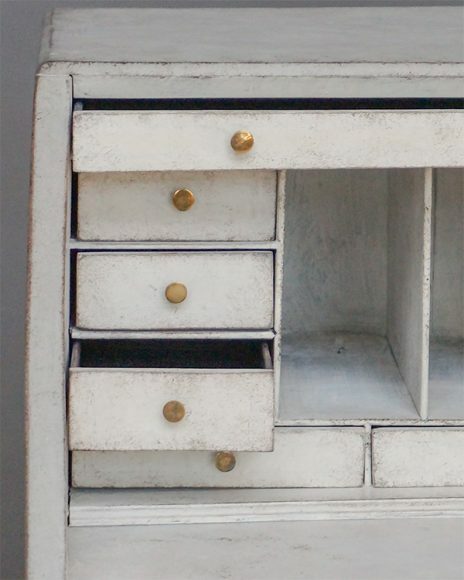 The interior presents multiple small drawers and slots, while below the writing surface are four full-width drawers, all on a simple bracket base.